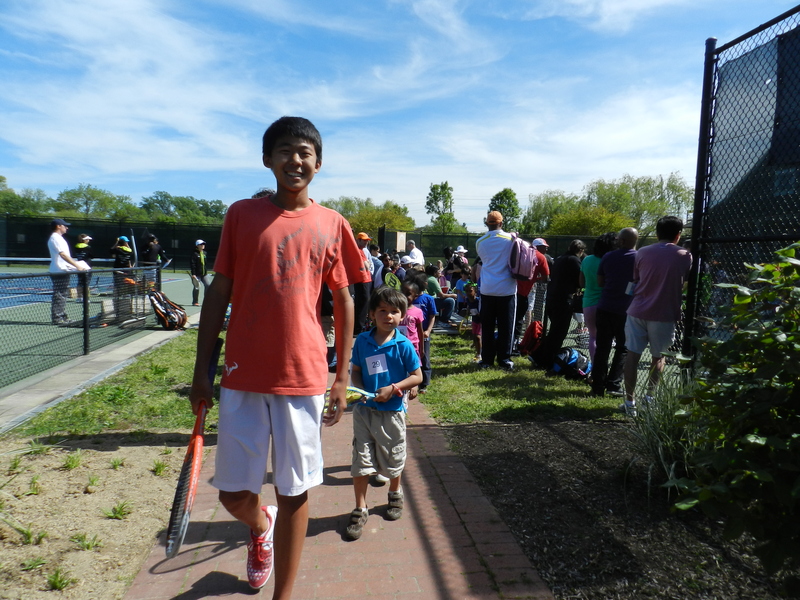 It was a perfect day in College Park for the Junior Tennis Champions Center’s 11th annual Free Tennis Day. As a connoisseur of Kids Days, if there is such a thing, I particularly enjoyed this one. This was a Kids Day with a twist. There was no moon bounce and no face painting going on here. This was the real deal. You’re not just having fun, kids. You’re being watched. And timed. And measured. 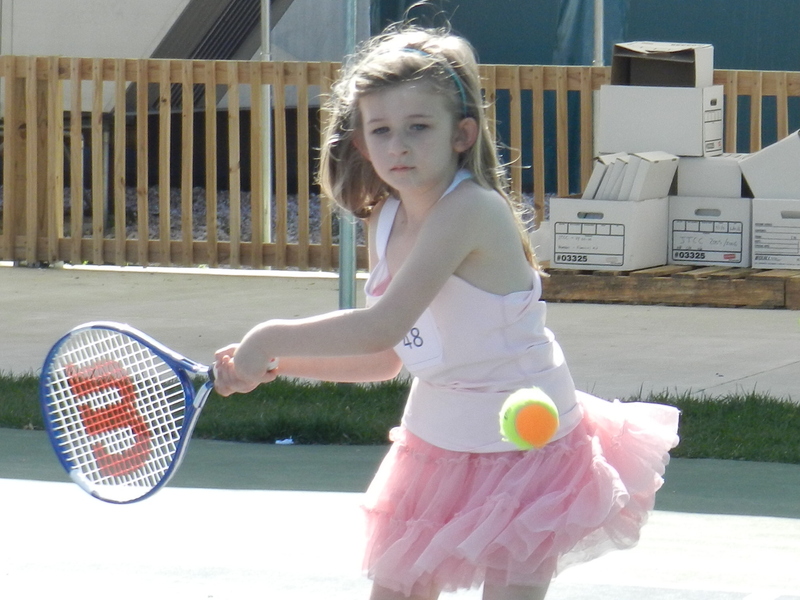 If you’re a tennis parent who even once fantasized about your 4 year old playing college tennis someday, this was your kind of Kids and Parents Day. Mine slept on the ride from Baltimore to the JTCC and woke up on the wrong side of the car seat. She was #48 and she defaulted when she demanded to be carried in from the car. Annabel settled on hitting solo against the wall. There were over 350 people on hand for the event and at least 125 kids participating. Over the next two weeks, the JTCC’s coaching staff will deliberate over the participant’s performances. 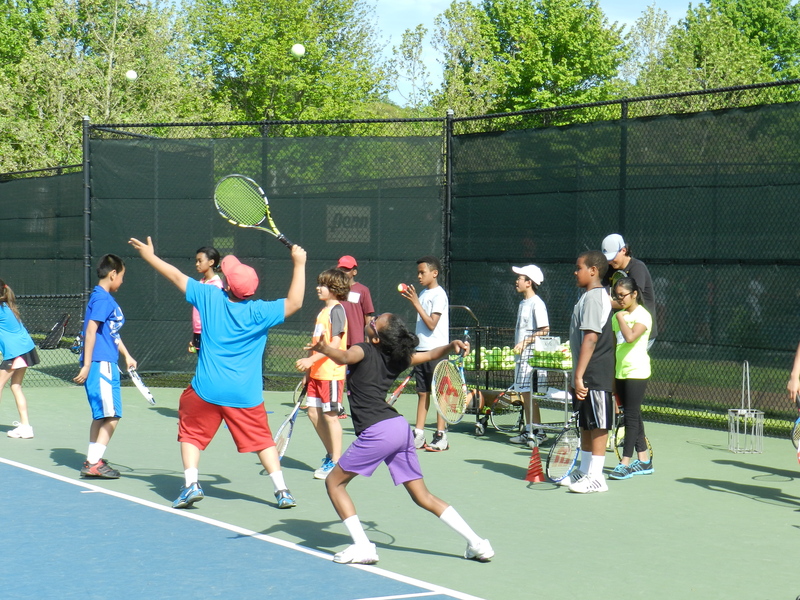 20 of the entrants will receive offers for summer camp scholarships and one will receive a scholarship into the Junior Tennis Champions Center. Remember, this is the same event where today’s Tallahassee Champion Denis Kudla was ‘discovered’ 10 years ago ‘on this very night’, and you begin to understand the allure of this free-for-all event. It’s democracy in action in tennis. The most unusual part of the day occurred when Slice, the Ms. Pac-Man of the Washington Kastles, was spontaneously attacked by children in an impromptu and slightly-frightening display. By the time the cameras (camera) got there, the little ones had switched to fists from racquets. Slice took it in all stride and has a bright future in elected office. Anyone who can take that kind of feedback at a Town Hall meeting and shake it all off is a lock for Congress.